SAN FRANCISCO, CA – Today there are numerous applications and services provided to customers promising instantaneous service such Uber, Lyft, Grubhub, UberEats, to name a few. It is a dog eat dog world out there, and due to the increasing competition, some companies are taking shortcuts to keep their prices low at the expense of their “employees” or, as they would say, the independent contractors working in the gig economy. These employees are fighting back by filing class action lawsuits against their employers. The Postmates couriers are only further victims of gig economy, where employers attempt to take advantage of their employees’ independent contractor status. These couriers are the hardworking men and woman that trek through snow, thunderstorms and freezing temperatures to deliver your last minute desires. Now, Postmates couriers on both the west and east coasts are taking collective legal action thanks to their employment law attorneys. Back in 2015, Postmates couriers complained of unlawful employment discrimination and initiated a federal lawsuit in Oakland, California. 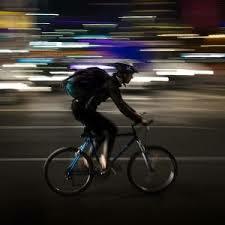 They claimed that Postmates misclassified its couriers as independent contractors and paid them below minimum wage. Specifically, the lawsuit stated violations of the federal Fair Labor Standards Act and Private Attorneys General Act, in addition to state wage and hour laws for couriers in New York, California, Washington, D.C., and Massachusetts. According to the employment discrimination attorneys, each proposed class would include, approximately: 88,000 couriers in California, 28,000 couriers in New York, 8,000 couriers in Washington, D.C., 3,000 couriers in Massachusetts, and 107,000 couriers throughout the rest of the US. This month seems that Postmates has reached a nationwide settlement with its disgruntled “employees.” The plaintiffs asked a Californian District Judge Jeffrey White to approve an $8.75 million to resolve their cases. In addition to the $8.75 million settlement, other terms would include changes to Postmates’ business practices in order to strengthen couriers’ rights by creating a method for couriers to challenge termination decisions in arbitration at Postmates’ expense and the means for couriers to give feedback to the company. On the east coast, another complaint was filed over the summer in the New York Labor Department. This lawsuit accuses a similar delivery service, Relay Delivery, of committing wage theft by classifying its workers as independent contractors rather than employees and paying them $7.50 an hour. This is 80 cents below the New York tipped hourly minimum wage requirements. Relay Delivery makes deliveries for Meatball Shop, Pinkberry, Hale and Hearty, and several other New York City restaurants. The nation is watching because similar employment statuses are so prevalent in the today’s modern gig economy and few courts have definitively ruled on whether the gig workers, like Postmate couriers, qualify as employees under employment wage and hour or discrimination law suits. Until such rulings in California or in other federal courtrooms are established, the law will remain unclear in many parts of the country. Qualifying as an employee rather than an independent contractor is important with regards to federal government agencies because employees are covered by federal anti-discrimination and other employment laws, but independent contractors are not. The employer furnishes the tools, materials, and equipment, for example, the employer provides the work space, equipment, and office supplies. The worker is paid by the hour, week, or month rather than the agreed cost of performing a particular job. The worker is not engaged in his/her own distinct occupation or business. The employer provides the worker with benefits such as insurance, leave, or workers’ compensation. The worker is considered an employee of the employer for tax purposes, for example, the employer withholds federal, state, and Social Security taxes. Do you have rights? Yes! While it can be confusing when it comes to determining one’s status as either an agency employee or independent contractor in today’s modern economy, the skilled New York City sexual harassment attorneys at the Derek Smith Law Group, PLLC have years of experience litigating claims of employment related claims. Working together with our Philadelphia sexual harassment attorneys, we have recovered millions on behalf of our clients who were discriminated against because of their gender. If you feel you have been discriminated against because of your gender, please give our attorneys a call, toll-free, at 1877 4NYLAWS, for your free consultation.